Up until July of 2014, Olivia’s life was pretty normal. 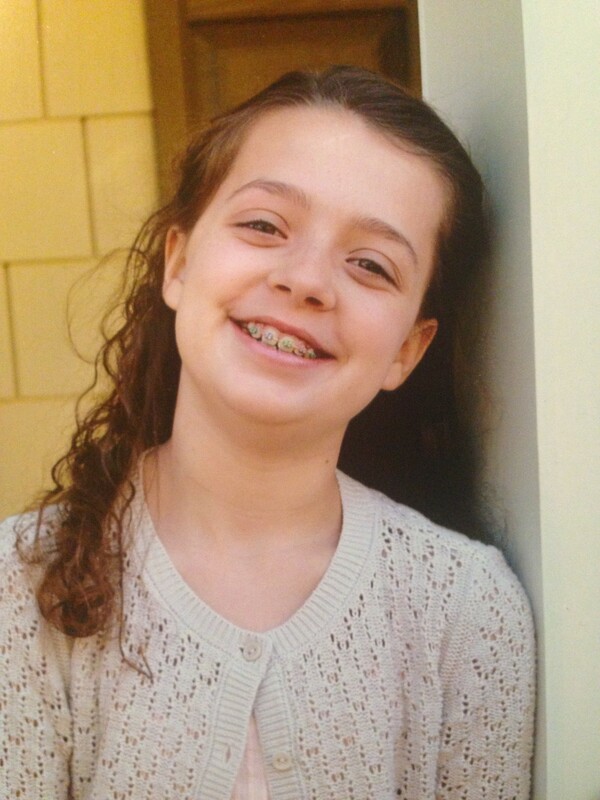 The 10-year-old loved to play outside and swim in the neighborhood pool with her friends. Then she discovered a mysterious lump under her right arm. Doctors removed it surgically, and tests showed it was cancer. After that, everything got crazy. Olivia had to drop out of the 5th grade and start treatment right away. She was in the hospital getting chemo every two weeks and trying to recover in between. All this was tough on a girl who was used to being in the middle of every activity, running and jumping all the way. Her mom says Olivia went from bubbly to…well…quiet. 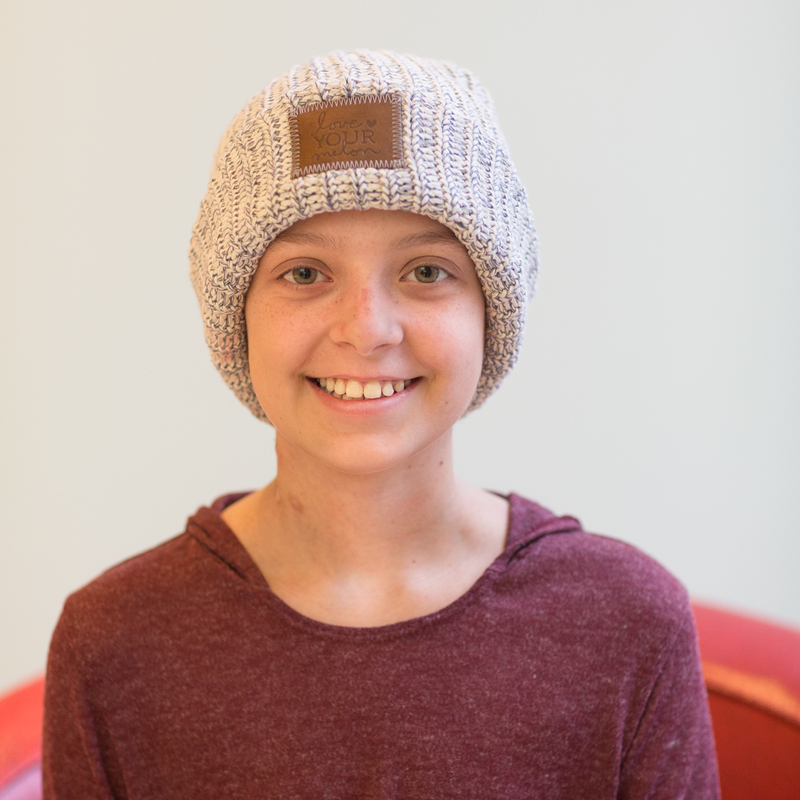 But by the next summer, her treatment was finally over, and Olivia was cancer free. Life was almost back to normal. She started the 6th grade right on schedule, thanks to some awesome home-schooling. But then, a few months later, this past November, while on a youth field trip, she suddenly became nauseated and developed a strange rash. Within a day, she was in the pediatric intensive care unit, on a ventilator, where she stayed for a whole month in critical condition. The diagnosis: therapy-related leukemia. That’s right – the very treatments that had saved her life a year ago were now the cause of her new disease. 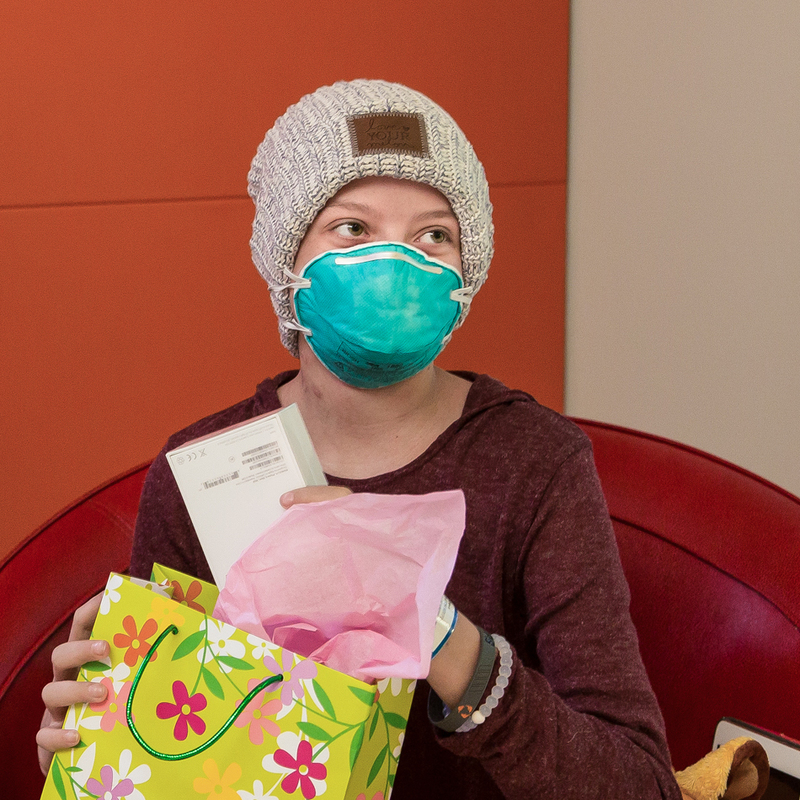 As soon as she was strong enough, she started chemo…all over again. The bubbly girl went quiet again. One day, there was a knock on her hospital door. 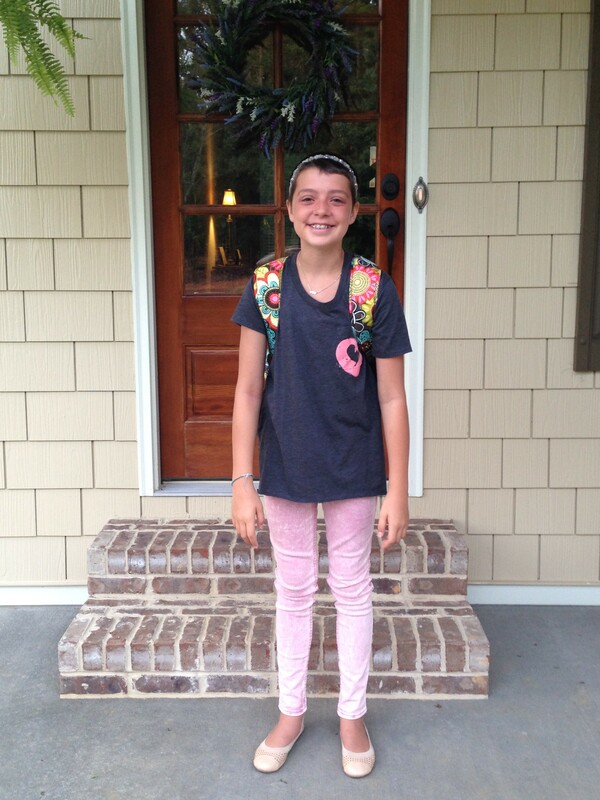 It was a little girl from across the hall – our very own Team Summer kid Maylee! Even though there was a big difference in their ages, the girls had a lot in common. 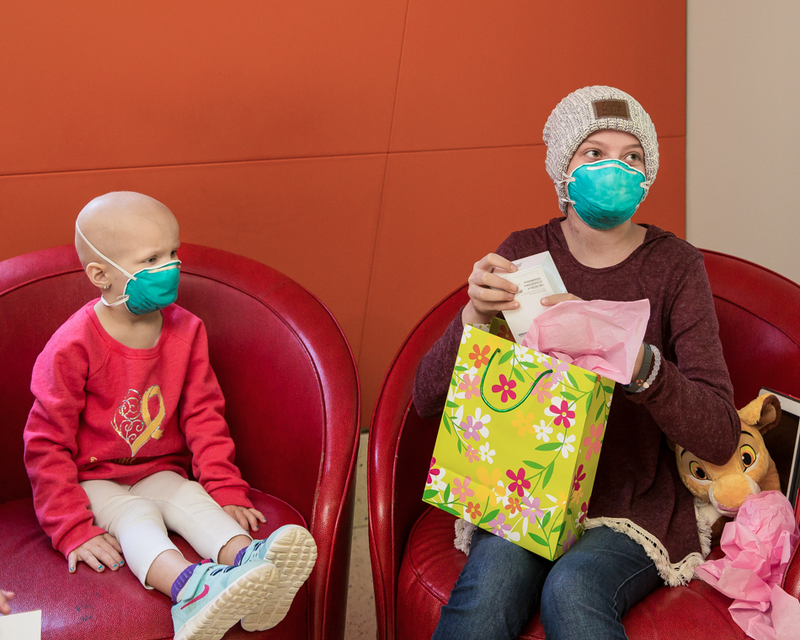 Not many kids know what it’s like to get chemo and be trapped in a hospital for weeks on end. What Olivia didn’t know is that they were about to have something else in common. Maylee was going to make Olivia a Team Summer kid! 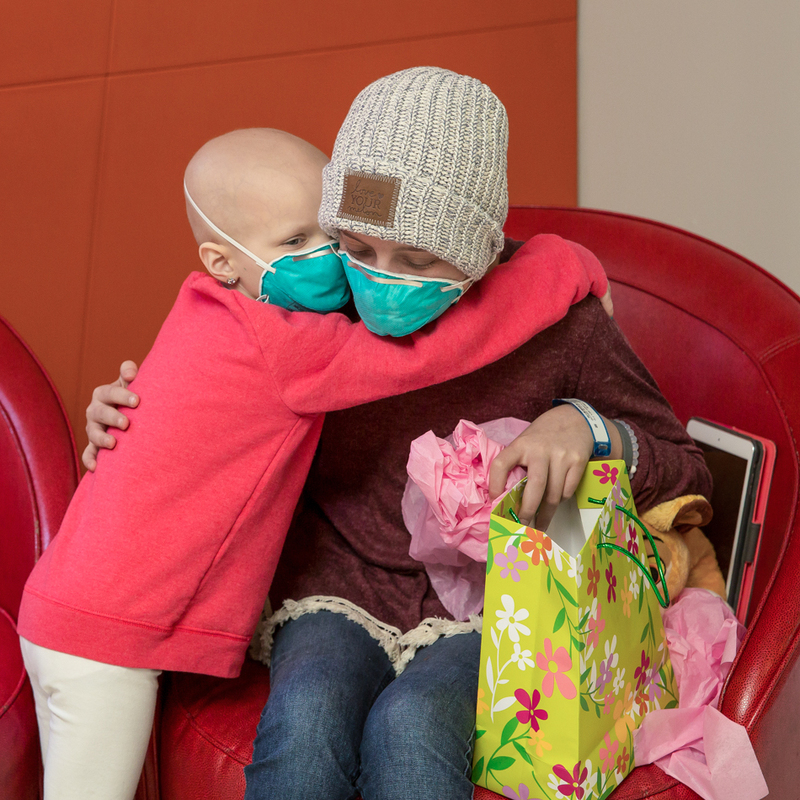 We started helping Maylee figure out what would make her new friend happy, and planned the surprise. 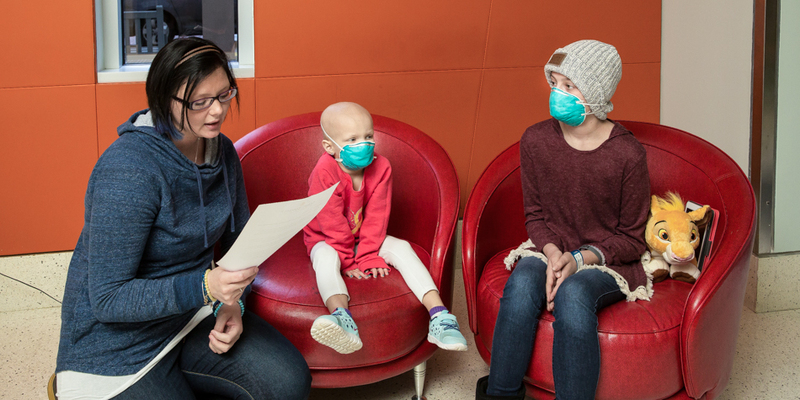 On the big day, Maylee brought her friend down to the lobby of the hospital, and Maylee’s mom read Olivia the Team Summer welcome letter. Olivia slowly started getting the idea that something special was about to happen. Then, Maylee handed her the Team Summer gift. Olivia’s mask is hiding her big smile, but you can still see the surprise in her eyes! It’s what she wanted most, what she had been begging for, in fact! Her very own iPhone! It’s kind of the last thing she expected from her little friend. But, hey, Maylee is a Team Summer kid, so anything is possible! Olivia’s mom tells us that the iPhone has been an amazing distraction for Olivia as she continues her treatments and long hospital stays. “She’s on it 98% of the time!” her mom says. 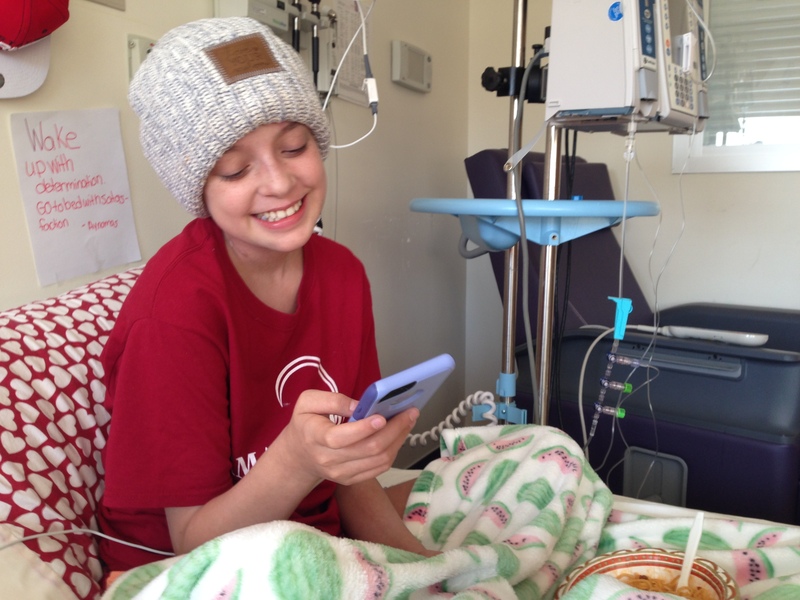 Olivia even stayed glued to her phone during her recent bone marrow transplant. It’s funny how something as simple as a smart phone can make you feel like a normal kid again. 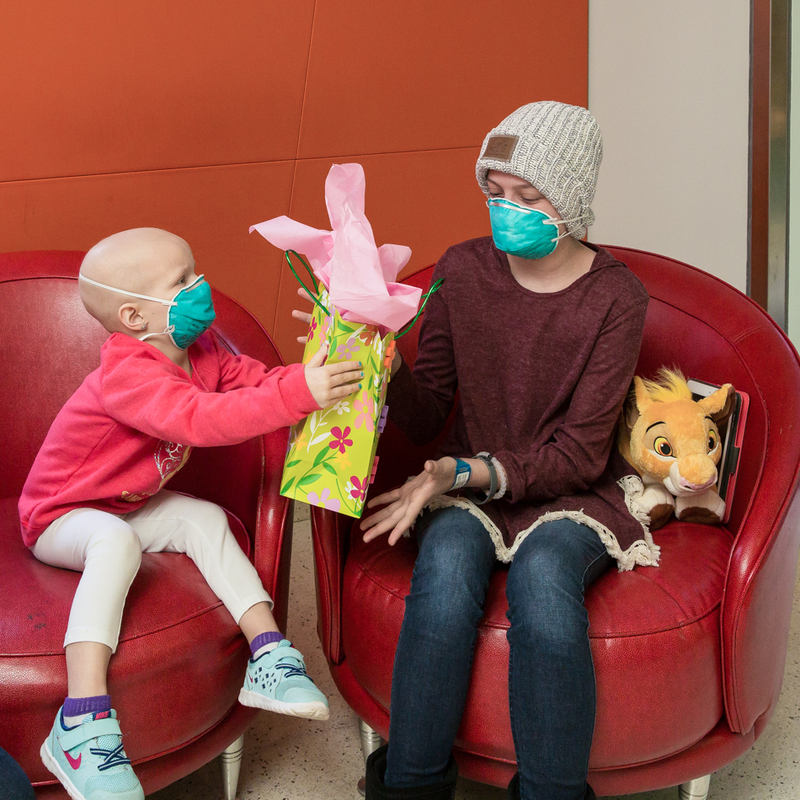 And now that Olivia is a Team Summer kid, it’s her turn to find a kid with cancer she can help – maybe someone who is having an even rougher time than she is, someone she can cheer up with a special gift. We’re ready, Olivia! Just let us know! This is beyond cool. Love to hear more about your group and the way they help and encourage these sweet kids.